Welcome to the exciting world of fantasy auto racing! This guide is for Fantasy Auto Racing (aka Fantasy NASCAR) rookies and anyone wanting to improve their knowledge of the game. Here you will find an explanation of the game, tips to select your drivers and links to additional resources on the web. 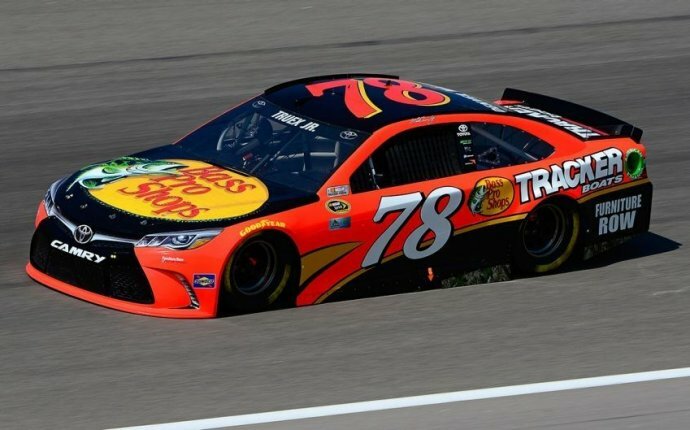 The 2017 Fantasy NASCAR season has started, but it's not too late! There's still time to create your new fantasy league or team and join the action. Fantasy Auto Racing is a game where you build your own dream team of NASCAR drivers and compete against the other teams in your league. The outcome of each race can be quickly impacted by wrecks, mechanical problems or a slow pit stop. Since so much of a race's finish depends on luck, this is one of the easier fantasy sports for new players to jump into, be competitive and have fun. Other variations of fantasy auto racing are based on Formula One, Indy Car or other racing series instead of NASCAR. This guide focuses on fantasy NASCAR but the basics are similar for other fantasy motor sports. All fantasy auto racing leagues require players to select a team of drivers to start for each week's race. The sum of the driver scores for each team is that team's score for the week. The team with the most total points at the end of the season is the champion. Scoring is based primarily on how each of your starting drivers does in the actual NASCAR race. Some sites allocate points equal to the number of Cup series points that the driver received for the actual race. Other sites will award the 1st place driver x points and every position after that gets 2 fewer points than the position before. A league may also award bonus points for leading at least one lap of the race, leading the most laps or award points depending on how the driver qualified. Some leagues even award bonus points if the driver finishes better than their starting position. The key thing is to read and understand your league's scoring rules. Most fantasy league sites are free and provide the basics of stats, scoring, league and team management, message posting, etc. Some also offer premium (pay) games as well that offer cash prizes. The best way to enjoy and learn about NASCAR is to see it up close and personal with no commercial breaks. I've been to the Daytona 500 and the Richmond races. My favorite part is walking down to the fence and feeling the wind as the cars speed by you at 180mph. What a rush!